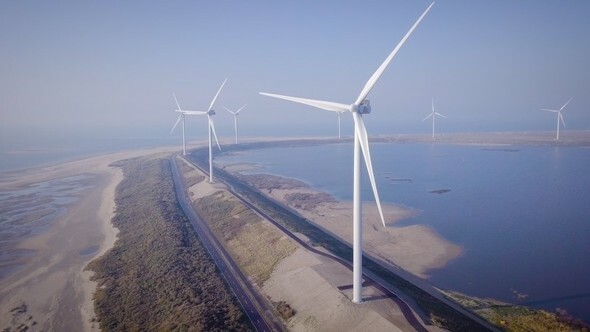 Eneco and Vattenfall have finished repowering the Slufterdam wind farm in the Netherlands. As a result, the power of the wind farm has nearly doubled from 25.5 MW to 50.4 MW since the wind farm was put into operation in 2002. The 14 remaining wind turbines generate 180 GWh of electricity every year, enough to cover the annual consumption of around 60,000 households. The two companies started preparations to replace the wind turbines in mid-2017. In a period of roughly 18 months, the old wind turbines were dismantled, the infrastructure for the new wind farm was built, and the new wind turbines were installed.